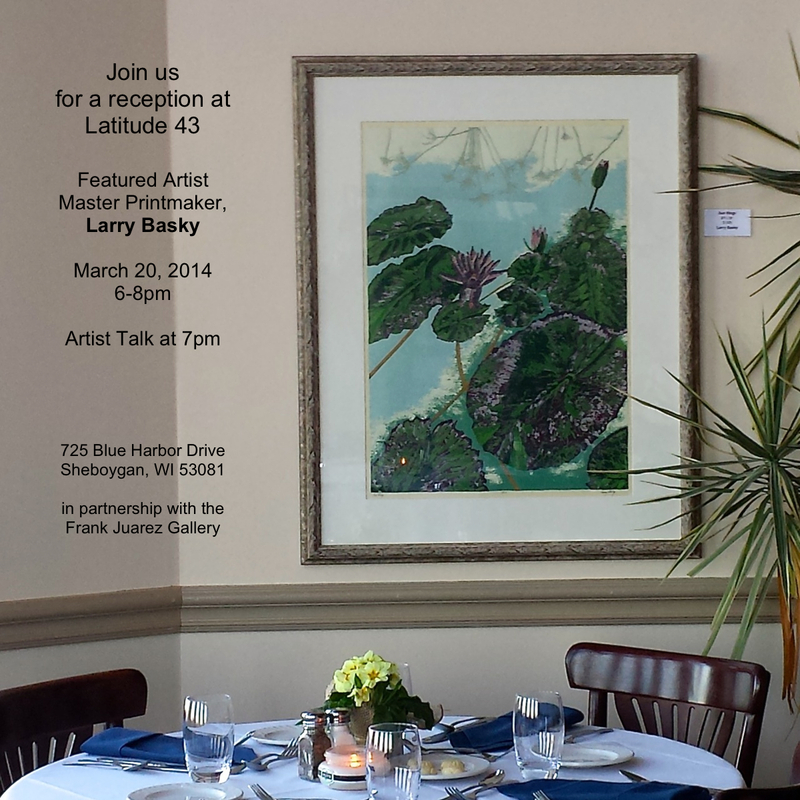 Larry Basky, Master serigrapher and printmaker shows a variety of prints and a few of his paintings. He is known for his colorful serigraphs and his works are in many collections throughout the United States as well as other countries. Several museums also own his serigraphs such as the Smithsonian, Museum of Wisconsin Art, Sand de Cristo Museum; to name a few. This entry was posted in Uncategorized on March 3, 2014 by Frank Juarez.